Read below for our tips and recommendations before applying. Thank you! The Strengthen Alabama Homes program provides $10,000 in grant funds to owners of primary residences in Mobile or Baldwin Counties, Alabama. Owners must agree to retrofit or mitigate their homes to the FORTIFIED Home™ standard by either re-roofing or performing other updates or upgrades to their homes to receive the grant. In Alabama, homeowners can save up to 35% to 45% off their wind insurance premiums for FORTIFIED Bronze or Silver levels. If the cost of work needed is above the grant award, that amount will be the responsibility of the homeowner to pay to the contractor. Talk to your local bank or credit union for financing options as well. There are no income limits nor income tests to qualify for the homeowner. Only the home must meet the requirements to be FORTIFIED. This may be the only out of pocket cost for a homeowner unless the costs of the work go above the grant award. Homeowners will be required to submit proof of income. This helps to confirm proof of residency and, if a homeowner or family meets a low-income threshold, may qualify them for additional funding. Homeowners must have their projects bid on by three (3) approved contractors from the grant program. Strengthen Alabama Homes is a legislatively established grant program managed by the Alabama Department of Insurance. Issues grants to retrofit homes to resist damage from Hurricanes and high winds using the FORTIFIED standard. The program is designed to lower insurance rates in Alabama while making communities resilient to storm damage. The grant program is funded by increased licensing fees for insurers who do business in the State, not taxpayer money, and is supported by the Federal Home Loan Bank and the Alabama Insurance Underwriters Association (AIUA). 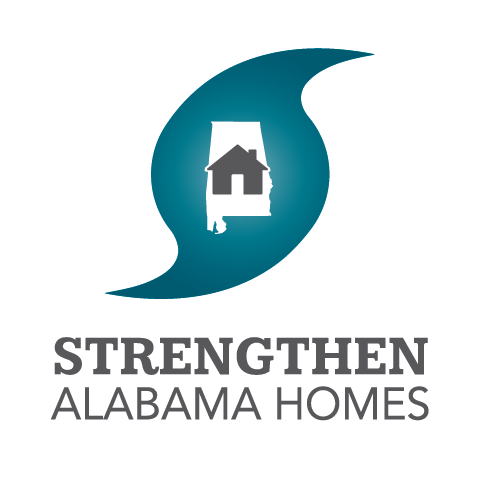 To apply to the Strengthen Alabama Homes grant program, go to https://www.strengthenalabamahomes.com. Once there, click the login link on the top right on a desktop computer or the last link on mobile devices. Then click the homeowner signup button, answer the questions and enter your personal contact information. You will now be asked to verify your email address. To do this, the grant program will send you an email to the email address you provided. Login to your email account some way (phone, computer) and click the link in the email that the grant program sent you. Once you do this, you have now verified your email account and may move forward with uploading your electronic paperwork. Before moving forward, be prepared to scan and upload the following documents to apply: most recent taxes OR proof of income; homeowners insurance; wind insurance (if it is a separate policy), and; flood insurance (if you are required to have it or currently carry it) to apply. By the way, the grant program only requests proof of income to confirm residency and to see if people may qualify for additional funding available for low-income residences. Once you have scanned and saved your documents, save them into your grant application portal by clicking the folder icon next to the item you wish to upload (proof of income, homeowners insurance, etc.). Upload only the documents you are required to. You may now move to the next step. The next and one of the most crucial steps will be choosing a FORTIFIED Evaluator. The Evaluator must be approved and be part of the grant program. There is an upfront charge for this service, and each Evaluator in the grant program have different pricing models for the "pre-evaluation" and full evaluation costs. This fee may be the only out of pocket expense you pay unless the roofing costs exceed the amount of your grant award. We recommend calling several Evaluators and choosing the one you’d like to work with during your project. Once you choose an Evaluator, they will come out and inspect your home to create a current conditions report. This report will provide you valuable information about your home and detailed data about the steps needed to get your home FORTIFIED. This report also assists the contractors as they bid on the work. After your current conditions report has been uploaded into the grant system, you will be prompted to choose three Strengthen Alabama Homes contractors to bid on the work needed to earn your home the FORTIFIED designation of your choosing.You Must use contractors who are approved by the grant program. After selecting your three contractors, you will schedule times for them to come out and bid on the work for your home. Once all three completed proposals are submitted into the grant system, you will be able to see the costs each contractor proposes, the amount of the grant you are awarded (up to $10,000) and finally choose the contractor you wish to work with. Once you choose your contractor, the work must begin within six months. Any costs above the grant amount you're awarded will be your responsibility, and those additional costs and how they are paid will be decided between you and your contractor. The contractor will receive the grant payment directly from the State of Alabama once the work is complete and you provide proof of wind insurance. As just mentioned, you must secure wind insurance for your home and provide proof of coverage to Strengthen Alabama Homes before your grant is paid. You will also be required to complete a survey. Contact us if you have general questions about the program. We recommend weighing your options before choosing your final contractor. Calculate the costs of the initial work to bring your home up to the FORTIFIED Bronze or Silver standard vs. the money you may save over time on your insurance. Get at least 3-5 insurance quotes - Shop Your Insurance, learn about the insurance discounts for Alabama, and remember a FORTIFIED designation can be renewed every five years. Also, consider how financing and associated fees, if you choose to pursue any, may impact your wallet. A new roof is one of the largest investments most people make into their home. By using the grant program, you know the contractors and evaluators are vetted, trained, reputable and have the proper licensing, insurance and have pulled the correct permits. Now you have to make sure you're getting the best bang for your buck. We have created an insurance shopper’s guide to help Alabama homeowners understand their insurance and get the best coverage and value for their budget. It’s free, and we recommend downloading it when you shop for your insurance. Remember, the lowest cost insurance does not equal the best value, make sure you have the best coverage you can afford. When the work is done, the contractor will be paid. When you have your FORTIFIED designation in hand (it's a certificate), take a copy to your insurance agent to prove your home is FORTIFIED. (I might even frame it myself and show it off to house guests, what a great conversation starter! ).